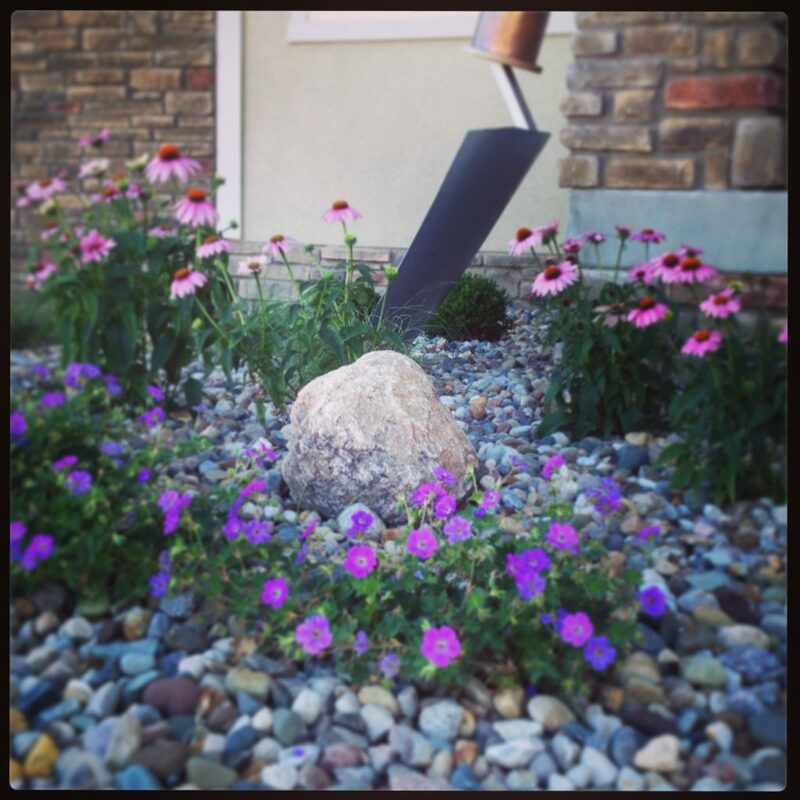 Des Moines Landscape Design - Focal Points: Attracting attention in the landscape. Focal Points: Attracting attention in the landscape. Focal points can be implemented into your home landscape in many different ways. Here are a few examples of focal points in the garden! 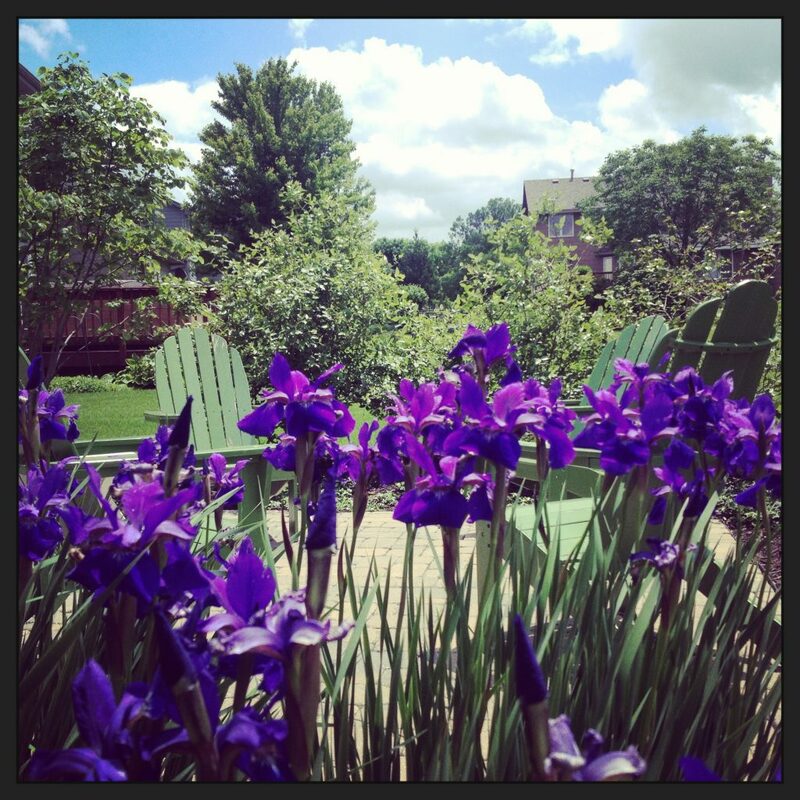 Purple siberian iris is a show stopper in this suburban landscape. 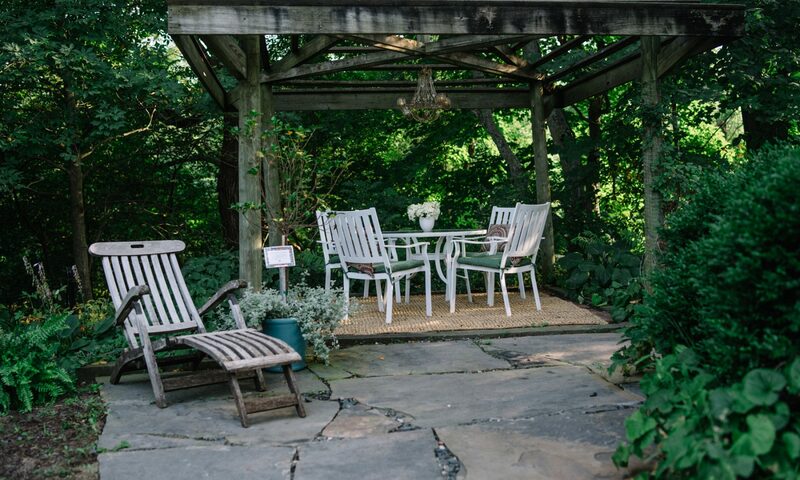 Select plant material that also creates movement in the landscape. The thin leaf blades on this iris sway in the wind beautifully. 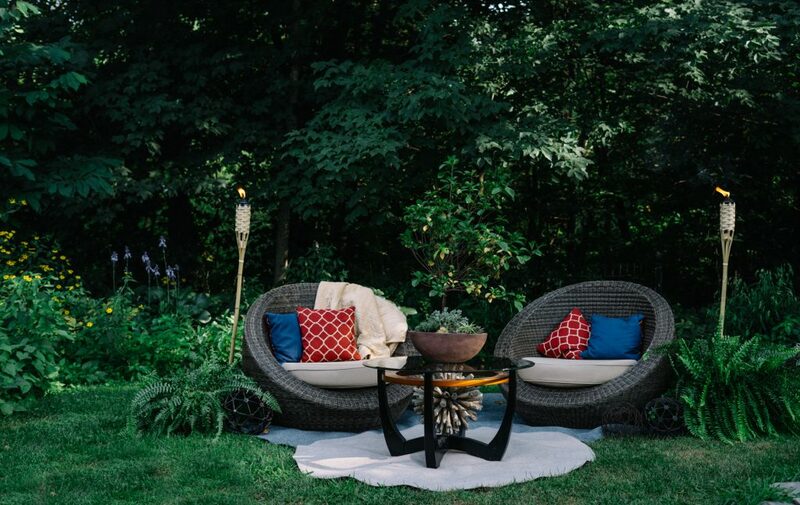 The relationship between the furniture and garden not only promotes and encourages conversation, but also makes a great focal point! The abundantly green landscape in the background is accentuated by the furniture in the foreground.